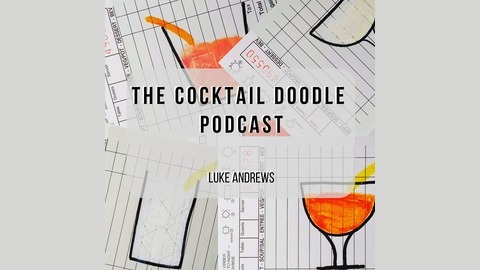 A short and relaxing podcast about cocktails. 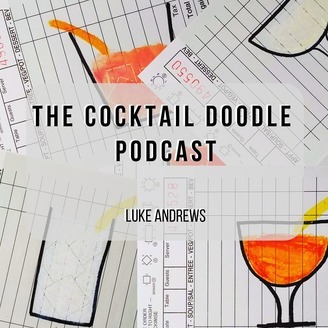 Hosted by Luke Andrews, a former bartender that likes to recreate drinking and cocktail experiences through prose. You should notice a major bump in audio. I got a new microphone and actually read the instructions for using Audacity. That sure helped. Fill the bottom third with gently roughed up mint leaves. No stems. Add 20 ml Lime Juice and chuck a spent half in there too. Top with crushed ice and mix in an upward fashion with your spoon. Give it a nice splash of cold carbonated water. Top again with crushed ice and a handful of mint to garnish. Maybe a lime wheel too. Smell the mint and drink through a straw once the glass has frosted over.